Yamato Moritake double bass, was born in Fukuoka, Japan. He is a graduate of the Tokyo National University of Fine Arts and Music. He was a scholarship recipient to the Academy of the Bavarian Radio Symphony Orchestra. 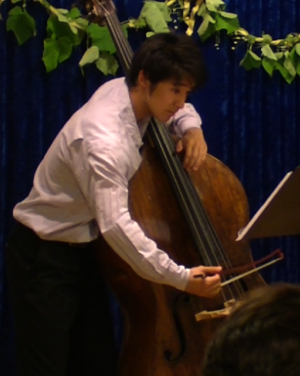 Currently he is studying at the Munich Music Academy as a student of Heinrich Braun. He is currently a member of orchestra at the Semper Opera in Dresden.